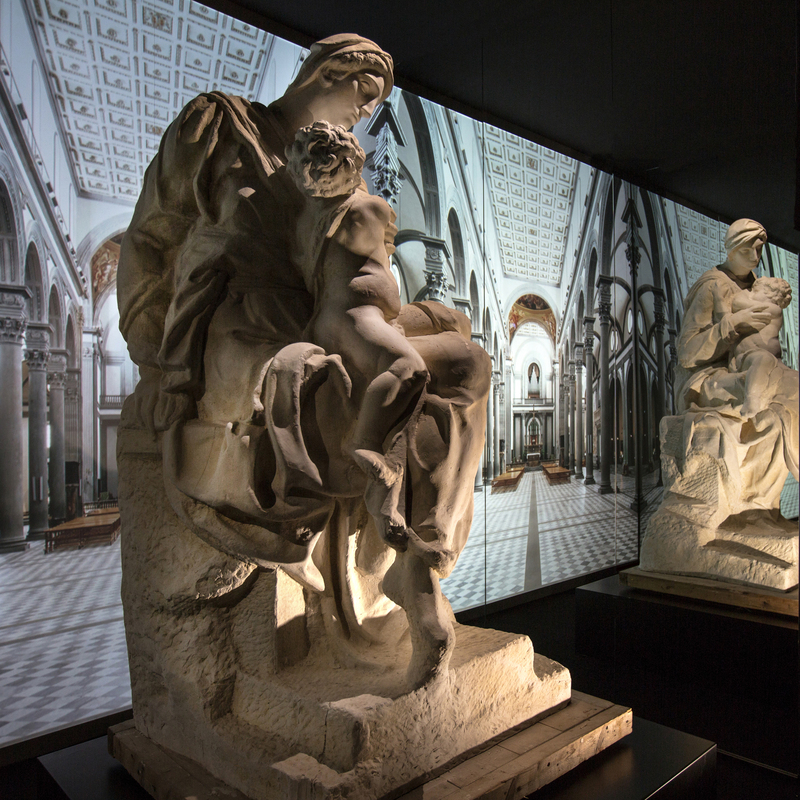 From the 16thMay to the 17thJune 2018, the entire first floor of the former Busan branch of the Bank of Korea hosts the special exhibition of the rare plaster cast of the original Medici Madonna realized by Michelangelo Buonarroti for the Sagrestia Nuova (New Sacristy) of San Lorenzo in Florence. The exhibition, curated by Ico Migliore and Mara Servetto with Reinassance art history expert Marco Carminati, is hosted and organized by the Busan Fine Arts Association and KBS Busan Broadcasting Branch Office. The project, sponsored by the Busan Lotte Hotel, the Samjin G.D.F Co. LTD and the Samjung Co., Ldt stems from the passion for art and Italian culture to explore the wealth of Italy’s artistic heritage in search of exemplary art capable of bringing an example of timeless creativity to Busan, with the aim of encouraging bountiful cultural assets in the future. With the patronage of the Embassy of Italy and the Italian Cultural Institut, the exhibition is supported by the Busan Metropolitan City, the International Design Exchange Foundation, the Kookje Daily News, the Busan Catholic Peace Broadcasting Corporation, the Busan Munhwa Broadcasting Corporation, the KNN, the BUSANILBO. The studio Migliore+Servetto Architects designed a special exhibition to enhance this cultural event aimed to create a rich dialogue between Italian and Korean cultures and to foster the value of reproduction as important knowledge tool.